Cisco IPSEC VPN is a must for anyone who desires to manage an enterprise network. I have always faulted the old CCNA curriculum that excluded VPN setup. 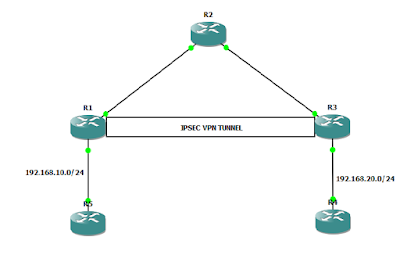 It meant that many CCNA holders did not have the knowledge of how to configure IPSEC VPN except they went further by studying for the CCNA security. As expected, Cisco has recently realized this and has therefore included IPSEC VPN in the CCNA curriculum, making it a must for aspiring CCNAs. The IPSEC VPN is a technology that allows you to successfully encrypt packets sent from one LAN to the other over the public internet. 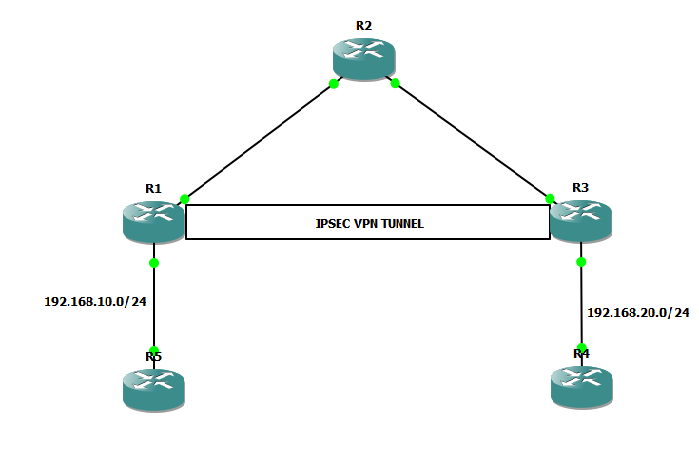 In this post, I will share with us on how to successfully configure an IPSEC VPN using GNS3. The Cisco 3600 series router running on GNS3. 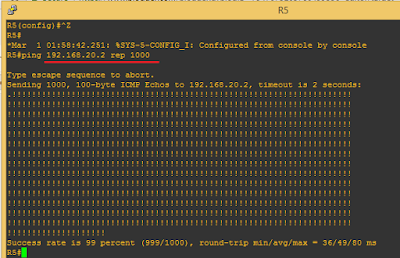 Objective to set up IPSEC VPN on R1 and R3 to allow communication between networks 192.168.10.0/24 and 192.168.20.0/24. The WAN links between R2 , R1 and R3 are configured for /30. I will start my configuration from R2. In reality, our job will be done on both R1 and R3. Finally, configure the interfaces on R4 and R5 with IP addresses from their various subnets and try to ping from R4 to R5 or vise versa. 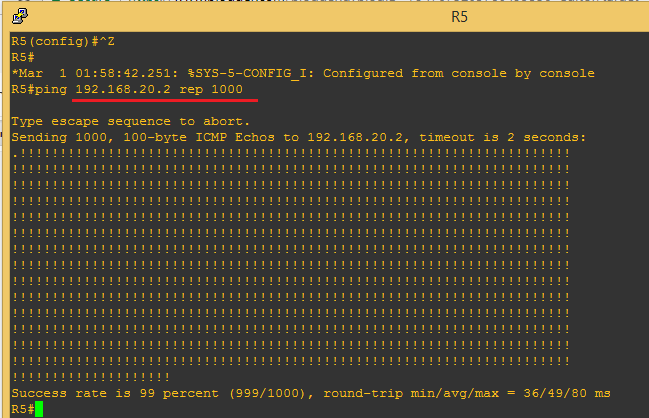 If done properly, the pings should be successful even though there are no routes from R2(ISP router) to the LANs. Packets to the LANs will be encrypted and sent via the IPSEC VPN tunnel. We can use the sh crypto ipsec sa command to verify VPN connection. If you need help building this LAB on GNS3, drop me a comment. Hi Sir. Thank you for this very simple demonstration.I just have a little concern on R2(ISP side). How can R1 send packet to R3 without using any routing protocol on R2? Thank you. Aaron, that's the essence of the vpn. I created an access list called vpn. What it does is to allow traffic from the lan on R1 ,going to the lan on R3 to be sent to R3 via the vpn tunnel. If I set up routing on R2,then no need for the vpn cos traffics will be sent through the ISP network (internet) instead of the vpn tunnel. The access-list is used to permit lan to lan traffics through the established vpn circuit.